Shipham Players present the magical world of Narnia on stage at Shipham Village Hall in this delightful adaptation of The Lion, the Witch and the Wardrobe by Glyn Robbins from the well- loved tale by C.S.Lewis. Four children Peter, Susan, Edmund and Lucy, while playing in the bedroom at the Professor’s house, hide in the wardrobe, which magically transports them to the frozen land of Narnia. Narnia is ruled by the White Witch, representing the forces of evil, who is terrified of humans. 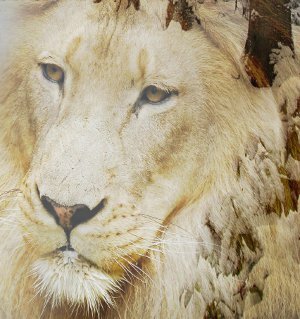 Aslan the lion, representing all that is good and right, has returned to Narnia to destroy the White Witch. The children are brought to Aslan the Lion by kindly Mr & Mrs Beaver, who they meet on the journey through Narnia. The story culminates in a powerful battle between Aslan and the witch, the wolves and leopards and many other characters. The Ice melts. Good triumphs over evil. Tickets are £7 for adults and £3 for age–18 and under and will be available from 10 am at Lenny’s, The Square, Shipham on Saturday 16th January and thereafter from Hansford’s, The Square, Shipham. Sorry – we cannot take telephone bookings.